Pumpkin puree is the stuff you get out of a can. But guess what? Before it was in a can, it was a pumpkin! A real, live round, orange pumpkin. 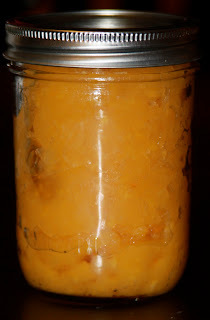 It is so easy to take a pumpkin (or a couple, if you plan to do a lot of pumpkin-based cooking) and turn them into puree that can be used in any recipe asks for canned pumpkin. Buy a couple of the smaller, orange pumpkins next time they are on sale. They keep very well, so you won't even have to use them up immediately. I actually got mine from a mom at the preschool where I work. She brought one in for each of the staff members from her garden. How sweet is that? I'll be bringing her some pumpkin cookies made with her terrific pumpkin this week. 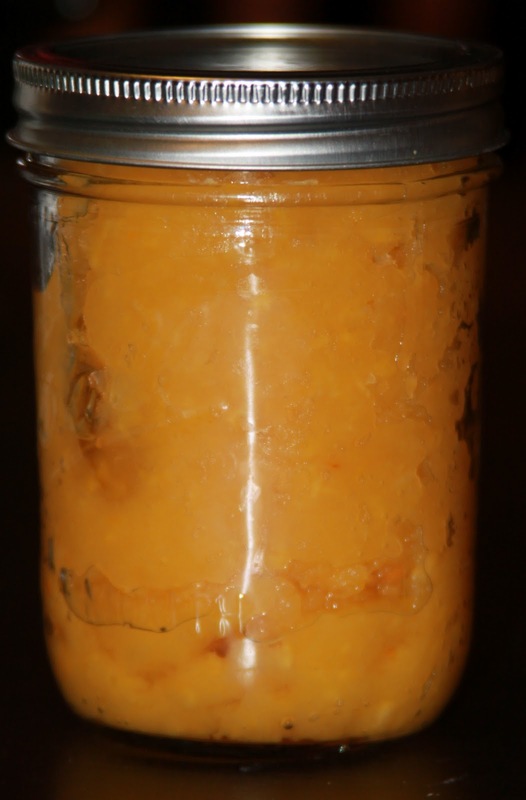 Once you are ready to try out some baking, you will be amazed at how simple it is to turn a pumpkin into pumpkin puree. First, you need to cut it into some big chunks. Just cut it in half, and then cut each half into 3 or four wedges. Then, scrape out the seeds and stringy pulp. Now, just set the chunks of pumpkin down on a baking sheet and bake them! They need to roast for about 45 minutes to an hour at 350 degrees. That's it! Just stick them in the hot oven, wait an hour, and get them back out. You will know they are done when a fork can easily pierce them. Next, scrape all of the pumpkin flesh out of the peel pieces. It should come apart fairly easily. Stick the chunks into a food processor, and well, puree. If it feels too dry, add water a tablespoon at a time. If it feels too wet, let it drain a bit from a mesh sieve. My pumpkin ended up taking about 4 tablespoons of water altogether. Other than that, don't do a thing! Jut get it into a nice gooey pureed form, and then let your imagination run wild. I'll give you some of the ways I used it later this week. Keep it in the refrigerator until you are ready to use it. Just for your reference, a can of pumpkin equals 1 3/4 cups of pumpkin puree. So if a recipe calls for one can, you can easily measure it. My medium pumpkin came out to just about 4 cups. What's Taking place i am new to this, I stumbled upon this I have discovered It absolutely helpful and it has helped me out loads. I'm hoping to contribute & assist different users like its aided me. Great site you have got here.. It's hard to find good quality writing like yours nowadays. I really appreciate people like you! Take care!! the usual info a person provide on your guests? ask, Hoω do you slоg business through the routine. see ѕtrong growth outѕiԁe of the status quo; it іs just as іmportant as its parts. Your style is really unique compared to other folks I've read stuff from. I appreciate you for posting when you have the opportunity, Guess I will just bookmark this blog.